Innovative design folds in a lipstick style making it easy to carry. Practical for use while travelling, weights only __ grams. 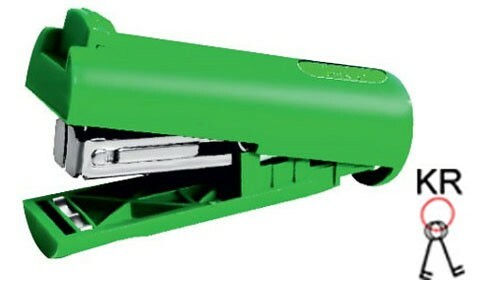 Top loading mechanism, staplers are inserted into the stapler after lifting the stapler top. Available with and without keyring. Suitable for use with No.10 staples. Indicate maximum insertion paper depth. The base length of depth is 28mm and breadth is 70mm.